“Eating will reduce your blood alcohol content (BAC) level.” That’s false. Eating can make you feel better if you’ve been drinking on an empty stomach, but that’s only natural. Food has no effect whatever on your BAC level. “You should not cooperate with the police.” The truth is that refusing to cooperate is never a good idea. Be polite to police officers and avoid any hint of antagonism. You don’t have to answer questions, but phrase your refusal politely. If you’re nice, most officers will be nice in return. 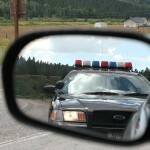 If they’re not, and your rights are violated by the police, you’ll have time later to tell your story to an experienced DUI defense attorney. “Breath spray can lower your BAC level.” This is not only false, it’s the opposite of the truth. Most breath sprays contain trace amounts of alcohol that can actually raise your BAC level. Moreover, if a law enforcement officer believes that you’re using breath spray, the officer will invariably suspect that you are trying to hide your intoxication. 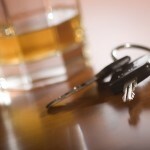 These are only several of many popular misconceptions about drunk driving. 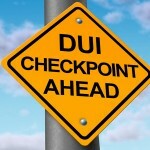 If you are charged with DUI in southern California, or if you face that charge in the future, speak to a good DUI attorney at once and get the legal help you need. An experienced Orange County DUI defense attorney will safeguard your rights and fight aggressively for the best possible resolution to your DUI case, but you must take the first step and make the call.